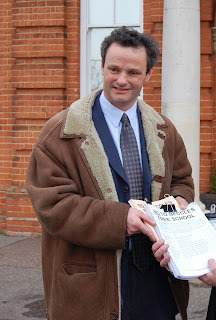 I reported when Peter Aldous received the petition against the Beccles Free School that he intended to write to Lord Hill the Education Minister with his opinion on the school. I was present for a meeting he held with Sir Leman Head Jeremy Rowe and the local press and at the time Aldous had not decided what position to take. That evening Peter Aldous was present for Any Questions? and saw first hand the views of his constituents. Having considered all relevant factors, whilst supportive of the principle of free schools it is my conclusion that the Department for Education should not enter a funding agreement with the Seckford Foundation. This was my initial view back in October and it has been reinforced by subsequent events and the representations that have been made to me. In my opinion, taking into account the provisions of Section 9 of the Academies Act 2010 the Free School would have a significant negative impact on the existing educational institutions in the Waveney area, in particular the Sir John Leman High School. In addition based on the feedback that I have received, there is limited public demand for the Free School and after a period of significant change in the organisation of schools in the Waveney area I believe that there should now be period of consolidation to ensure that the changes that have been made can be embedded and have every opportunity of achieving their objectives. With both the local MP and Mark Bee, local councillor and Suffolk County Council Leader now unequivocally opposed to the free school the Seckford Foundation really ought to do the decent thing and announce their withdrawal of the bid. This would provide that certainty now and perhaps go some way to win back the people of Waveney.